Abstract: Constant innovation is the precondition for any industry to stay competitive. So does Airwheel intelligent electric scooter. Airwheel keeps its record in launching new products. For instance, the Airwheel M3 electric skateboard is bold to alter tradition and break the stereotype. Due to the rapid development in science and technology, life develops in the tendency of intelligence and convenience. Airwheel has always retained its pioneering spirit that can be seen from its continuous new products. For instance, made of Canadian maple, Airwheel M3 electric skateboard is bold to alter tradition and break the stereotype. With the born of Airwheel M3, skateboarders do not need to move forward by pushing against the ground. Instead, they are able to enjoy the more advanced and labour-saving way of skateboarding with varied speed. Integrated with the high-tech essences, M3 electric drift hover board is elegant and user-friendly. Users operate it to go forward or backward with a 2.4G wireless remote control. Because of the variable speed functionality, riders are able to enjoy customized skateboarding experience by adjusting the speed with the remote control. It could save much labour on the bustling street. Truthfully, the powerful intelligence of M3 electric skateboards can go for a long way. What's more, M3 adopts the customized world-famous brand tire tires with such features as skid proof, strong grip effect, wide tire design, which is suitable for the whole road conditions. The shock absorbing on tires also relieves the feeling of bumping. Also, Airwheel M3 electric air board chooses modular design. The double battery protection boards guarantee the normal operation of the battery, and avoid causing damage to cell. That is, even one module of the skateboard is stuck, the whole system can still work normally. Lastly, it has attractive DIY feature. The sticker, board, battery and even the motor can be changeable. They can customize the craft according to their own taste so that the transport can be more aligned with themselves. Skateboarding is a kind of fierce activity, which provides more thrills and excitements for skateboarders. Airwheel M3 self-balancing air board lets the public enjoy such feelings of thrills and excitements fully. 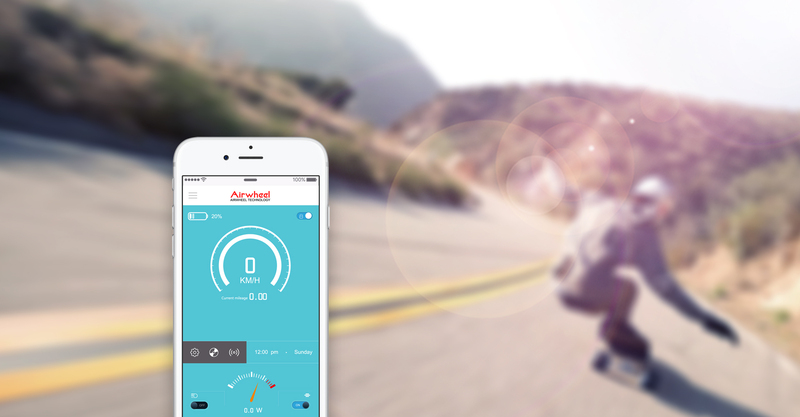 Previous：What Intelligent Technologies Are Applied To Airwheel F3 Unmanned Aerial Vehicle? Next：What Makes The Airwheel Mars Rover World-Known?